Our guest blogger today is Dan Shearer, Director of Safety of SeaPort Airlines Inc., a regional commuter airline operating flights to 21 destinations across 9 states. See what other organizations that have gone Google have to say. Planes are a way of life in the rugged inlets of Southeast Alaska. While cars and roads rule the terrain in the lower 48 states, flying is often the easiest way to get around the mountains, moose and water that dominate the North. 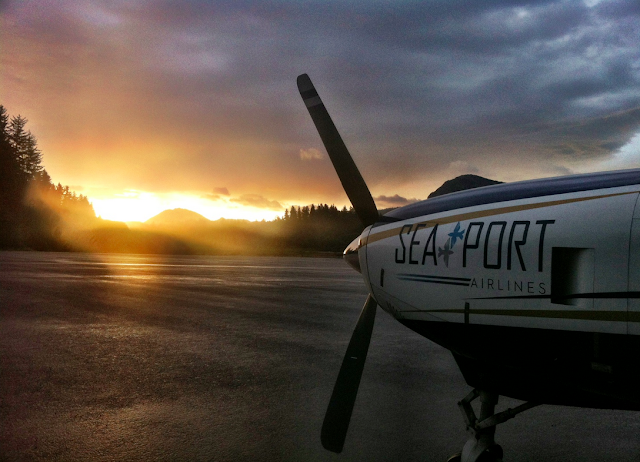 SeaPort Airlines Inc. was born in these rugged outdoors -- we’ve been flying short routes in and around Juneau, Alaska since 1982, back when the company went by Wings of Alaska -- and have since added commuter routes in Oregon, Southern California and six states in the Midwest and South. Altogether, our staff of approximately 225 is spread out across the country and operates a fleet of 20 planes. You can’t underestimate the importance of communication in the aviation world. Everyone has to be on the same page at all times, so we can accurately communicate weather reports, passenger lists, flight times and other critical information. For years, we did this on paper, by emailing attached spreadsheets or using an outside file-sharing service. While we were meticulous in our method, there was always the risk of grabbing an out-of-date document with incorrect details. We implemented two or three different hosted email systems over a four year period, but none of them lived up to our expectations; we faced ongoing problems with outages, lost emails and not enough storage. We knew we needed a more stable and collaborative platform. With help from Google Apps Reseller ViWo, we switched to Google Apps in January. ViWo was instrumental in getting us up and running. They showed us the best way to roll out and set up Apps to our 225 employees, pointed out tools for transferring data and helped with ad hoc technical support. With Google Apps, we got a reliable email system with built-in collaboration tools that all our employees can access with a single login. Best of all, it was easy to use. It took me just a few hours one night to create a Google Sheet that’s become the main way we track our departure and arrival status and performance to make sure our flights are running on time and scheduled efficiently. Dozens of agents can update the master Sheet at the same time without us worrying about losing any data or getting a detail wrong. Sheets even translates time zones and lets us easily process monthly reports. We also use Google Docs for internal information like reservation instructions and contracts. We can update these details instantly for the whole company, without printing off hundreds of new pieces of paper. In the past, IT was best described as reactive, and our technology problems took valuable time and energy away from our primary focus: delivering customers and their baggage safely and on-time to their destinations. Google Apps is changing that. Now, it’s simply a matter of people getting more comfortable with using the system. Just like flying in Alaska, IT managers know they’re going to run into pockets of turbulence. Google Apps ensures that at least our email and collaboration experience is a smooth ride.